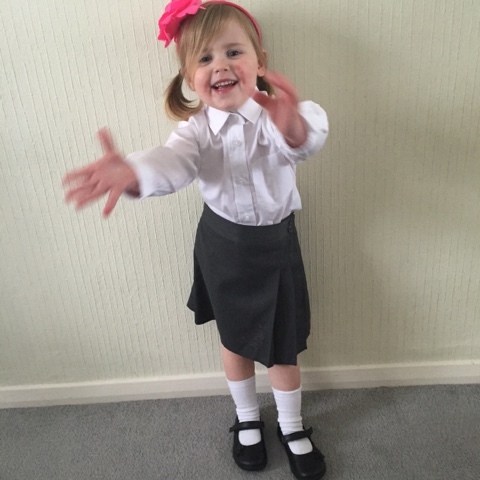 This year seems to be flying by and it won't be long before I find out which school my three year old will be attending in September (fingers crossed the same one as her sister's!) and of course this means that I'll need to start sorting out uniform for her. 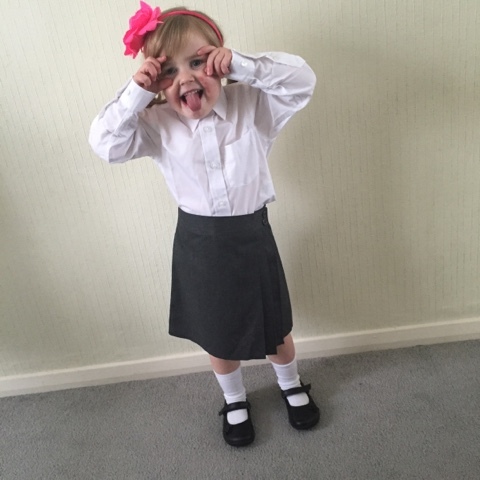 So it seemed like perfect timing when Matalan asked if I'd like to review a selection of their everyday school wear. 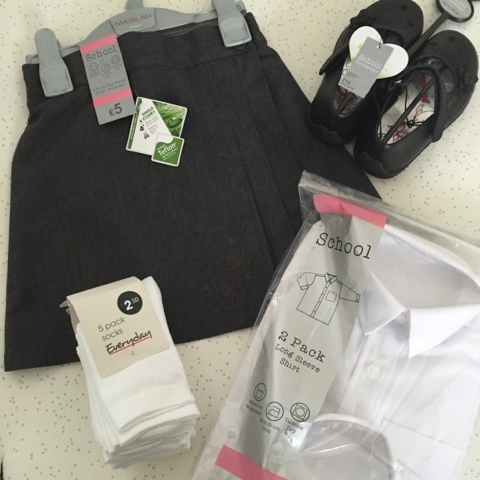 It was really handy having their uniform range online ready to pick out and be delivered as in the past I have struggled to find uniform to buy when not in September or the start of Summer, I think shops have previously failed to recognise that uniform is needed all year not just at certain times. Kids are always growing out of clothes and sometimes ruining them (as my 8 year old likes to do!). I was given a budget of £30 to buy a few items to try. In the end I opted for blouses, a skirt, socks and shoes. Now my youngest is a tiny little thing, still fitting into some 18-24 month clothes so I wasn't sure if the uniform would even fit her. I chose the clothing in age 3 and went for a size up in shoes and socks just incase she decides to have a growth spurt before the Summer ends. 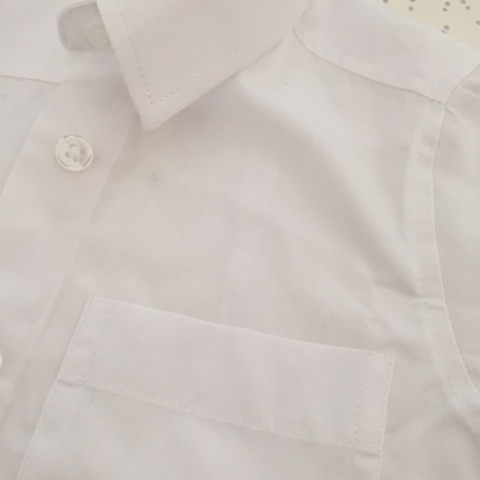 What I like about all the uniform is the fact that it can go in the tumble drier and that minimum ironing is involved, anyone that knows me knows that I avoid ironing at all costs. The skirt has an adjustable waist which was most welcome as I needed to pop it on it's tightest setting to stop it from falling down. 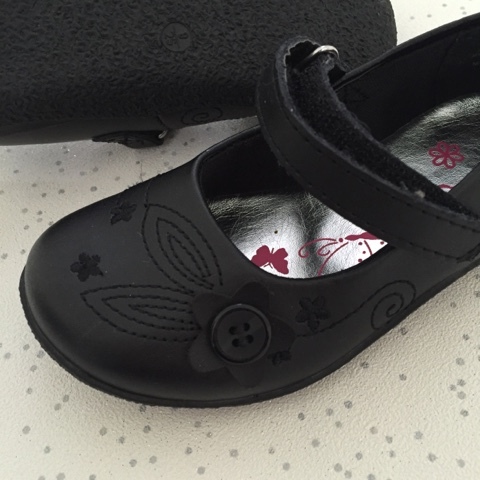 And as predicted the shoes were shall we say a tad big but I'm sure she'll soon grow into them and the velcro closing means that she can put them on herself, and teaching kids to do things independently is always a good thing. You can see from the pictures below my daughter couldn't have been happier trying it on. She keeps telling me how she is a big girl no, she's most eager to join her siblings at "big school" already. Every item although very reasonably priced didn't lack in quality. 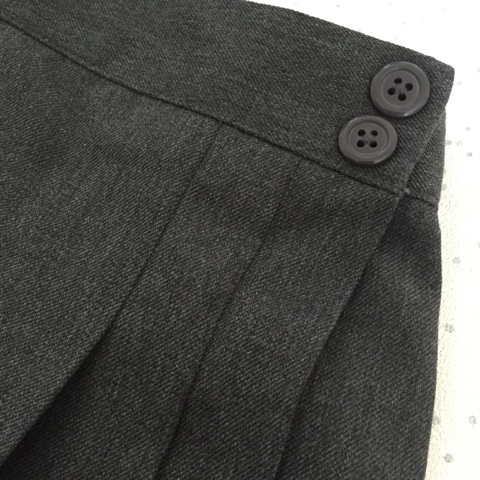 The details on the shoes, the stitching on the shirts and pleats on the skirts. Everything looked very smart and I'm pleased to say that after putting them through the wash they didn't lose that quality. No shrinking and as mentioned after tumble drying, ironing was a simple job as there was very little creasing. With the uniform going from age 3 right up to age 16 it means that I can buy uniform for all of my girls all in one place and I wouldn't hesistate in recommending it to friends and family. And being available all year means that I can purchase bits throughout the year, less time searching which means more time available for family too, so it's a win win right there! Disclaimer I was sent the uniform FOC in exchange for a review however all thoughts and opinions are my own. My kids have a navy blue uniform which is quite difficult to get hold of so I'll have to have a look to see what they have in stock. 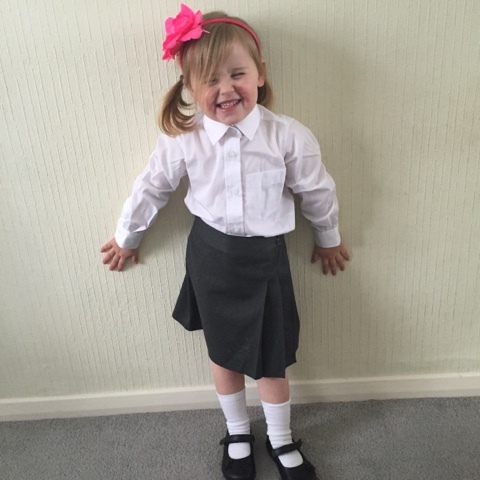 Such cute photos - I find out about my daughter's school in a few weeks too, so will also be checking out school uniform for the first time before too long. Will definitely have to keep Matalan in mind, I know how fast my daughter can decimate her wardrobe! Urghh, I can't believe I'll be looking into schools soon. How fast does time go? I always heard good things about Matalan uniforms so will definitely head there.